After our post on social media and SEO, we’ve decided to hone in on using social media for business. This post will look at the individual advantages of using Facebook, Twitter, Google+, and Pinterest in order to help you choose which social networking site you might use to generate buzz, expand your marketing efforts, and create an online authority for you and your brand. 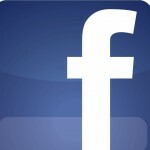 What It Is: Facebook is a social networking site that lets you connect with friends and family. You can also use it to set up a business page to communicate with potential customers and other people around the world. Using Facebook for Business: Facebook is worth looking at for tonnes of reasons. It’s the most used social networking site, which means you’ll be able to connect to a more diverse range of people than if you’d use another social networking site. It lets you easily post updates and notices, upload images and videos, and communicate (back and forth) with your customers, which will help you generate buzz, create an online authority, and create a community around your brand. If you’re wondering whether you should be using social media for business, just search Facebook to see the thousands of companies already connected. What It Is: Twitter is a micro-blogging tool where you can send “tweets” (messages) of up to 140 characters to your followers. Using Twitter for Business: Twitter is great for one-on-one interaction with your customers and spreading the word through the use of hashtags. It’s best suited for publishing quick updates, news of note, promotions of products, and links to any recently published webpages or blog posts. What It Is: Google+ is a social media website that’s similar to Facebook, but contacts are grouped into separate “circles”, instead of being listed as “friends”. It’s also quite well integrated with Google’s other online properties and features. Using Google+ for Business: Google+ gives you the option of sharing content to specific circles and communities, instead of sharing publicly, which is useful if you want to make sure that your content will be posted to people that are definitely interested in reading it. 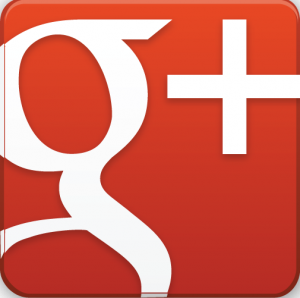 We love sharing Enigma Digital’s posts and products to any interested circles and communities using our personal Google+ profiles. What It Is: Pinterest is an online pinboard-style social media website, where the focus is on sharing images. In order to share an image, you have to “pin” (bookmark) to one of your “boards”, which can be viewed by other Pinterest members and shared again. Using Pinterest for Business: Businesses will find Pinterest worth using if they have visually engaging content to share to their customers. Check out these examples… graphic design firms can use Pinterest as their online portfolio; home décor stores can use it to promote their products; and restaurants can use it to promote the food on their menus. There are TONNES of possibilities, both to generate buzz and to help build online authority! This is probably the most trendy way to be using social media for business. A successful social media marketing campaign is time consuming. It takes time to drive up sales and generate traffic, particularly because of how often you’ll need to update your company profile to keep your followers interested. If you don’t want to maintain a social media profile, it might be worth installing social media buttons or other plugin extensions, like Social Coupon for WordPress, onto your WordPress website so that your customers can share your products. At the least, we would suggest signing in to your personal social media profiles — just as we do using Google+ — and help spread the word that way. Likes, comments, shares, tweets, retweets, pins… these social ranking factors can help spread the word, gain you more customers, and keep you ahead of the competition. We think it’s worth using social media for business, but it’s up to you to decide what social networking site will be best for you to use. Do you use social media to advertise your company? Or are you still unsure about the benefits of social media? If you have any questions, just let us know in the comments.